The Fjords Oldsmar recliner made by Fjords by Hjellegjerde. You’ll find this beautiful, ergonomically designed chair with Norwegian quality and craftsmanship only at Chair Land Furniture Outlet. 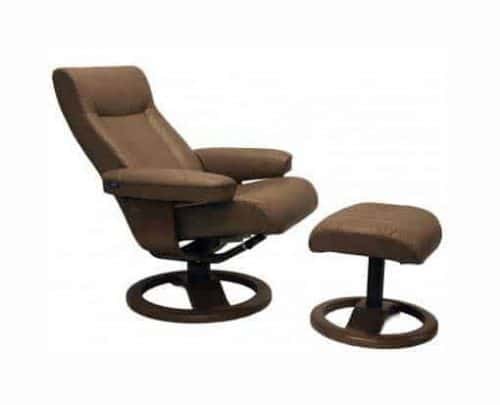 The Oldsmar Recliner is designed to provide continuous support for your body. The weight of your body determines the chair position in the ingenious design, providing the optimum resting position for your spine and head. 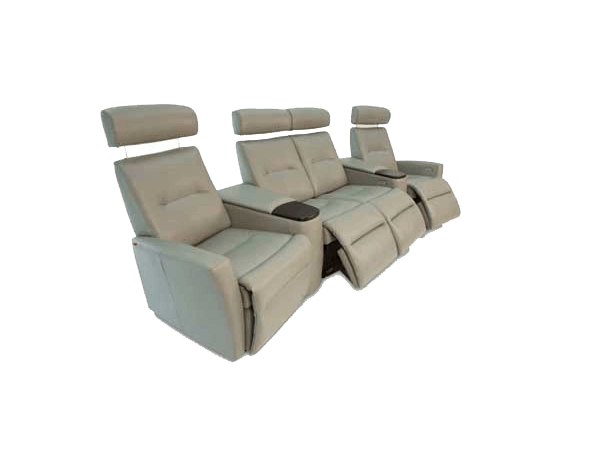 The Oldsmar utilizes cold cure molded foam in the seat, back, armrest and ottoman. 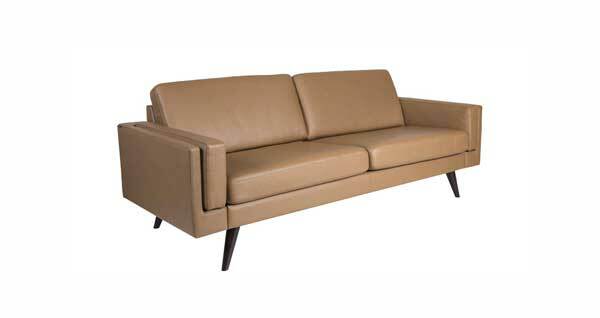 The Cold cured molded foam over durable steel construction ensures a stable, consistent comfort. The durable leather upholstery gives this recliner a sophisticated appearance that fits well in your living room, office or RV. 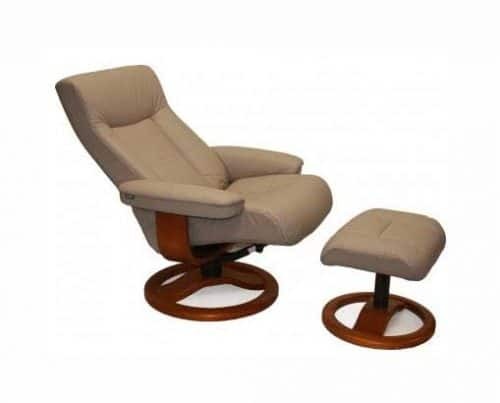 The Fjords Oldsmar recliner chair is available in two sizes, small and large. Comes with a matching Ottoman. You’ll find the Fjords Oldsmar available in 2 leather color options in the color of your choice: Cappuccino and Sandel.